so the decision to stay in AZ alittle longer was very difficult and i regret it while i welcome it. in the end it really is for the better and im pretty stoked to just be around my friends and close fambly. that sure wont stop me from living in the cloudy state of washington... where people wave at you when you cut them off on the road. school is awesome and i feel content just knowing that i have another optional destination. 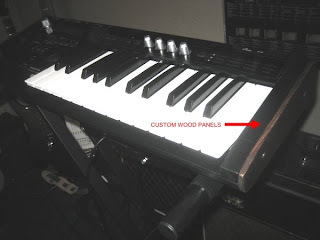 music writing has been going pretty slow but i did buy a synth keyboard, of which ive already customized it with wooden side panels. the thing looks BAD. i got two songs writen that i should probably set aside some time to record, i think these songs are alittle more listener friendly than the songs ive writen in times past. speaking of music type stoof, im starting a song review blog where ill comment on music that im listening to or songs that catch my ear.